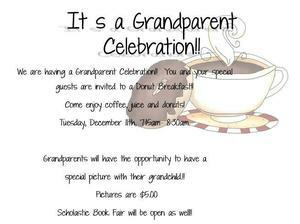 We are having a Grandparent Celebration! You and your special guests are invited to a donuts breakfast! Come and enjoy coffee, juice and donuts!